Sandals Royal Bahamian Spa Resort and Offshore Island recently hosted Ian and Kristen, another successful couple, who wanted to “test drive” their wedding to get a preview of their dream wedding. The couple met with one of the wedding consultants to discuss every detail of their wedding, including location, color and wedding themes, entertainment options, room categories, spa services and more. From taste testing different cake options with Chef Eric, to conducting a test photo shoot with the Snap Shots photographer, the couple was able to get the full picture of how their dream wedding will unfold, making their wedding planning process as seamless as possible, and full of excitement. 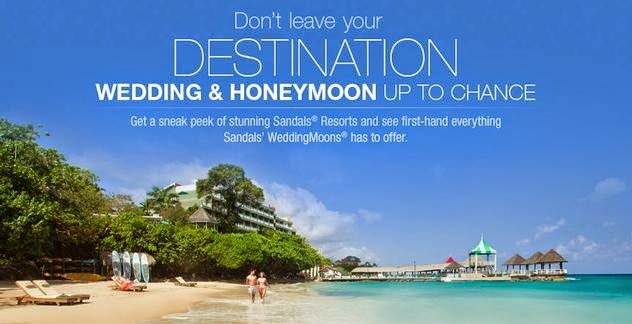 Couples to wed can book a “trial” two-night stay at any Sandals Resorts or Beaches Resorts to “test drive” their WeddingMoon® and receive a credit of up to $700 for booking towards their WeddingMoon® group of 10 rooms or more. Test Drive visits begin at $250 per night for travel between now and December 19, 2014 and varies by resort. 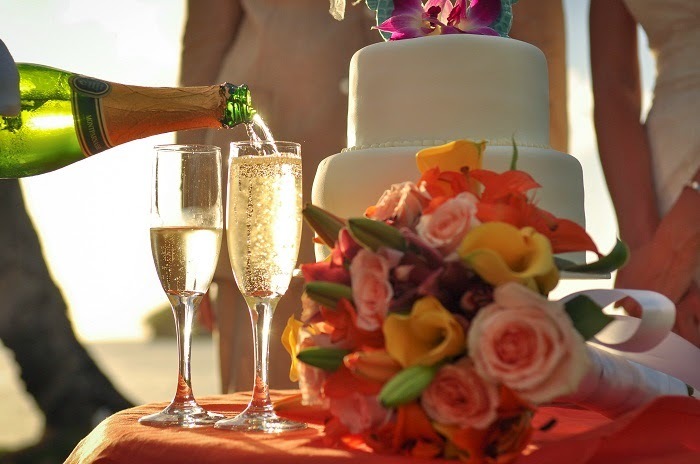 The credit is applicable for new WeddingMoon® bookings made after the couple returns from their “test drive” for travel through 2016. Recent couple test drove their wedding, literally, with a luxury car transfer at Sandals Royal Bahamian. The Test Drive package includes round-trip airport transfers, luxurious accommodations, resort tour, meetings with resort Wedding Team and SnapShots® Photography Team, champagne and cake tasting, wedding décor sampling, complimentary 5x7 photograph, and romantic dinner for two at a resort specialty restaurant with white-glove service and complimentary bottle of sparkling wine. As with all Luxury Included® Vacations at Sandals Resorts and Beaches Resorts, guests will be able to savor the world with Discovery Dining at up to 19 different restaurants, enjoy unlimited top-shelf premium drinks and Beringer® wines, countless land and waters sports, access to the Red Lane® Spa, nightly entertainment, and more. Restrictions and blackout dates apply. Couples can request preferred resorts and travel dates through their travel agent or online at www.sandals.com/testdrive www.beaches.com/testdrive. To learn more about Sandals Resorts or Beaches Resorts, visit www.sandals.com / www.beaches.com. *This post was written by Sandals Resorts and shared from their travel agent newsletter.